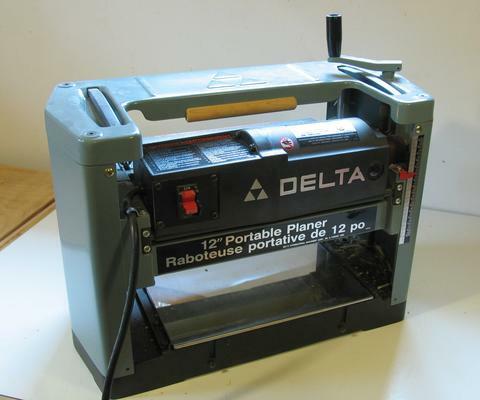 There are many small 12" thickness planers on the market these days. With the exception of the DeWalt DW735 (which costs twice as much as the others), these planers all have a very similar basic arrangement for the mechanism. 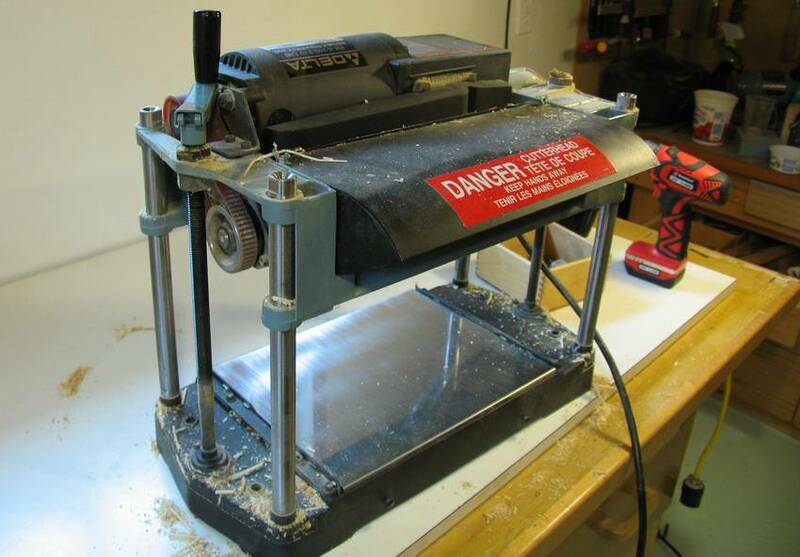 I needed a planer cutter head to try to build a jointer, and the most expedient and cost effective way of getting a cutter head and associated parts was to disassemble my old planer. 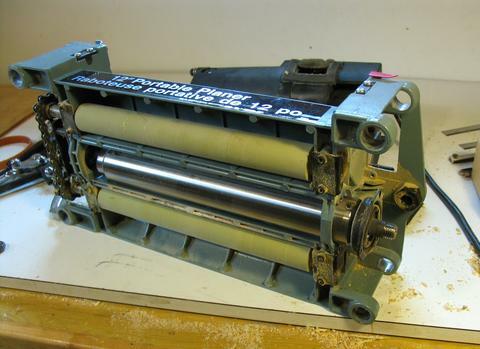 In fact, I had bought a better planer specifically so I could dismantle this one for the parts. 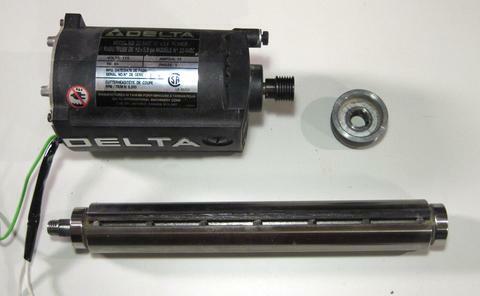 Having removed the side covers, on the right side, there is a serrated belt from the motor to a pulley attached to the cutter head. On the left side is some gearing behind a chain drive that drives the feed rollers. The gearing is obscured in this photo. 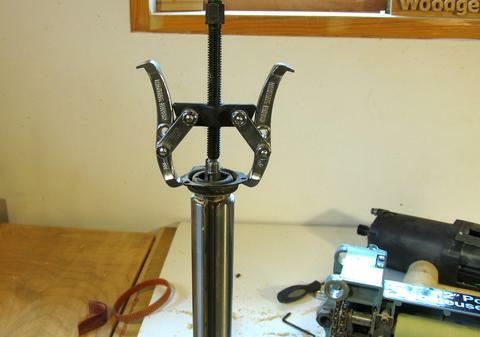 Once the threaded rods disengaged, I was able to pull the head assembly off the guide rods. 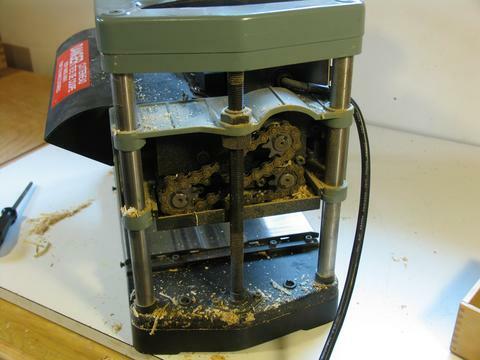 Here's looking at the bottom of the planer head assembly. The chain drive drives two rubber feed rollers. I'm already starting to remove the cutter head. 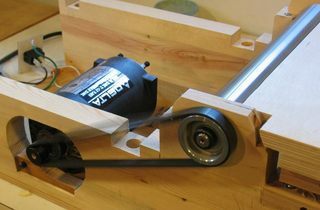 I already have the cutter head slid partway out the side of the planer. 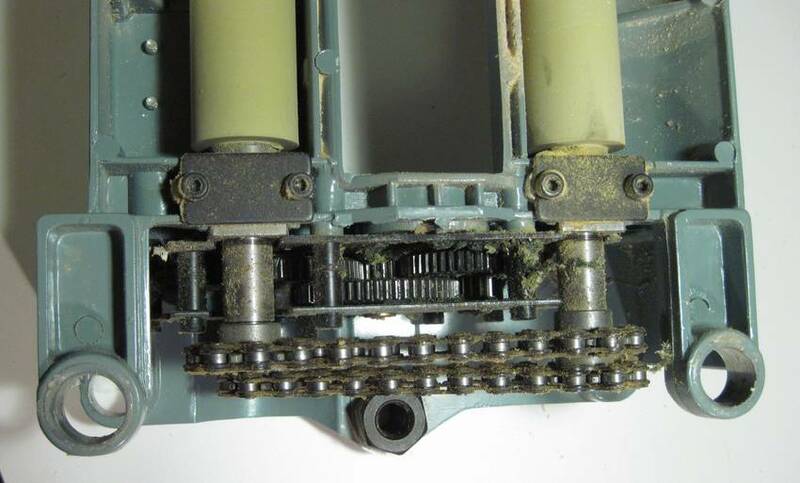 Here's a closer look at the gearing. Three stages of gearing reduction take the rotation from the cutter head and bring it down to the speed of the chain drive for the feed rollers. 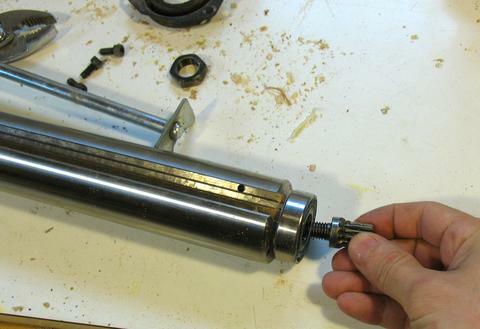 A small pinion screwed into the end of the cutter head drives the gearing. There is a sort of flange that fits around the pulley-side bearing on the cutter head. This flange mounts in a hole large enough for the cutter head to pass through. Here's removing that flange with a gear puller. And finally, here are the parts I was after. 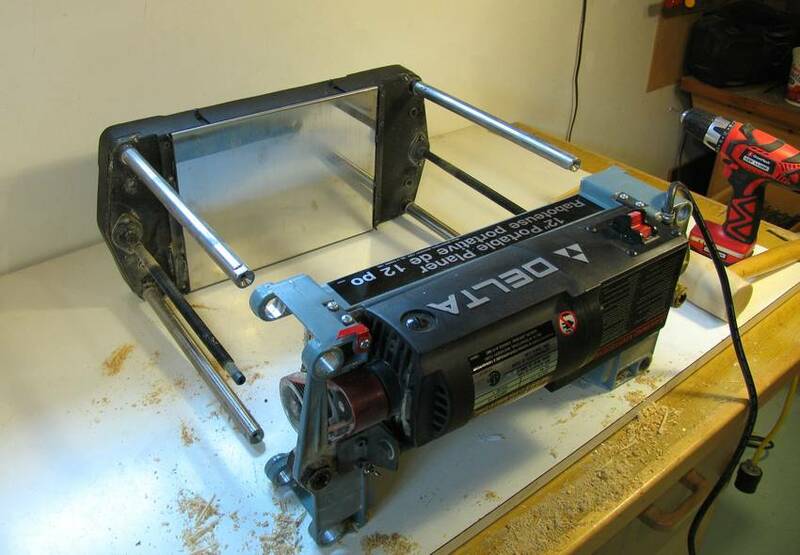 The cutter head with knives, motor, and bearings. 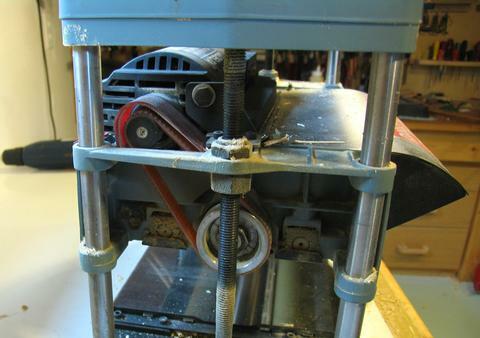 The bearings are press fit onto the cutter head, so I decided to leave those on.